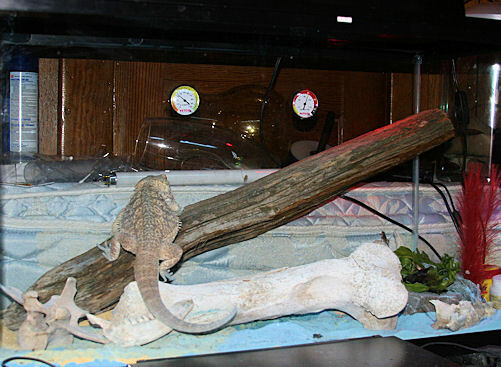 This is Draco in his new house. 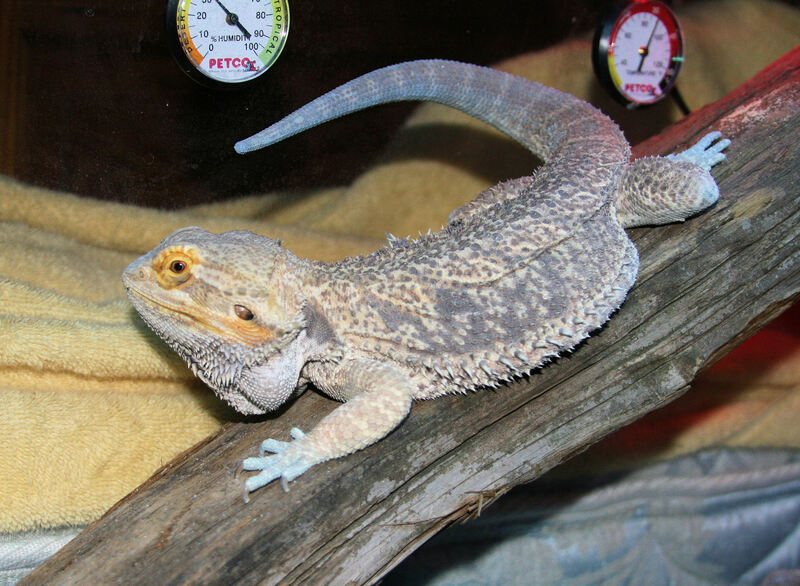 He is named for the majestic dragon star of the movie ‘Dragon Heart’. 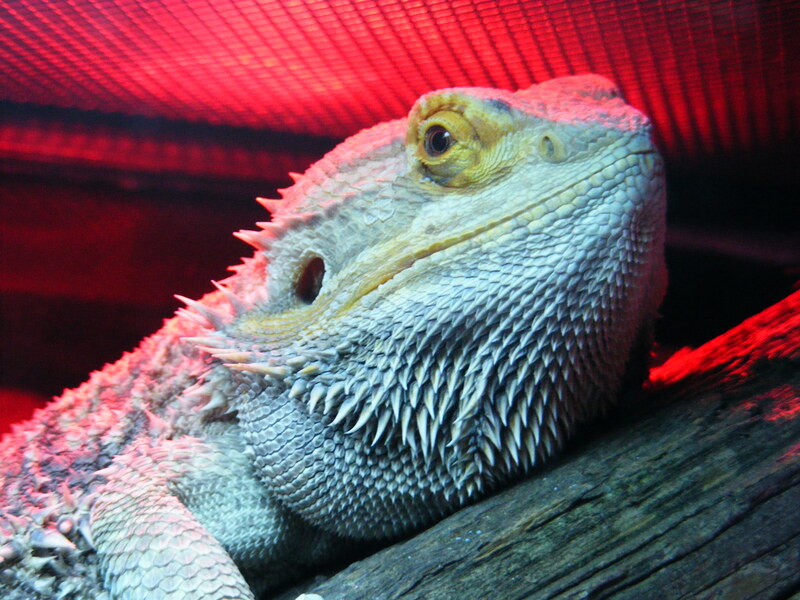 Bearded Dragons like their homes about 78-88°F during the day and in the 70s at night. He gets Superworms and crickets and always has fresh greens in a ‘rock’ bowl i made in the corner of his home out of flat rocks. He gets so excited to see Superworms that he will take them from my fingers. Draco got tired of posing for pictures. 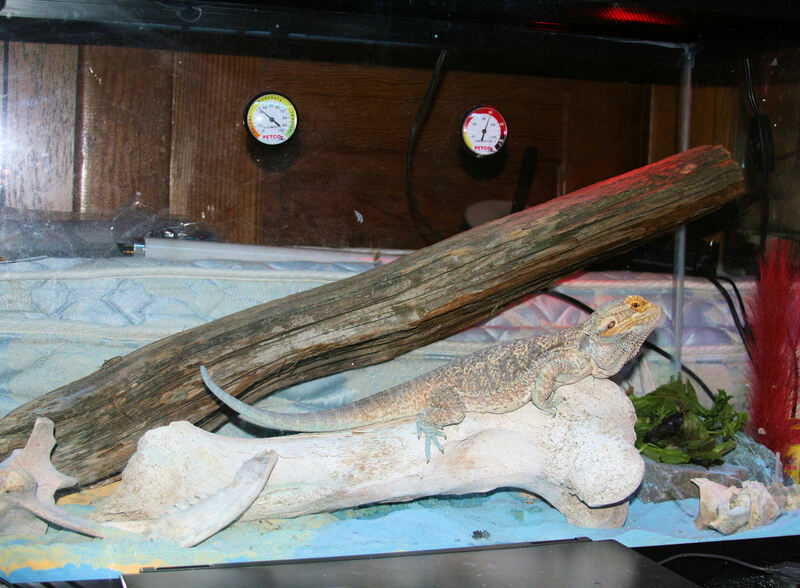 His favorite place is near the top of the log, closest to the heat lamp.